Achieve More With Data – Page 4 – Enabling Analytics for Everyone! Wow, have I got something for you. Some real insider information that I got after talking with a Microsoft employee. Now it’s my duty to share this rumor with all of you! This also seems to be the only plausible explanation for the incredibly HUGE release they had this month. Which and how many features? Read on! Yesterday, I read a conversation between Brent Ozar (blog|twitter) and Jen Stirrup (blog|twitter) on twitter. It gave me a fun but quite insane idea. To get the ball rolling, I bugged my manager at 10PM. Lucky for him, it was via mail. Well, today we had a long call about this mail. He thought it would be a good idea but it still needs some work. This last quarter of 2015 is already fully booked for me. This means that this idea will make 2016 an even crazier year than 2015. You’re probably curious, so read on for some tips! I submitted my sessions for the Data Culture Day London – Power BI Edition. It’s a free event at Microsoft in London on 28th of November. The main audience are business professionals who want to learn how to use Power BI and Excel better. I’m interested to know some of the reasons you’re currently not moving your data, or at least a part of it, to the cloud. Tell me the reason you’re not likely to use a cloud service like PowerBI.com. Or do you know someone who’s not going to put their data in the cloud? Let me know as well! Did you know about Power BI’s ability to connect to your on site data? And it’s ability to not put your data in the cloud? Does this want to make you adopt Power BI? Seriously, tell me your reasons and I’ll do my best to address these issues in an upcoming blog post. I want YOU to comment, tweet, hit me up on LinkedIn, or use whatever method suits you the best. 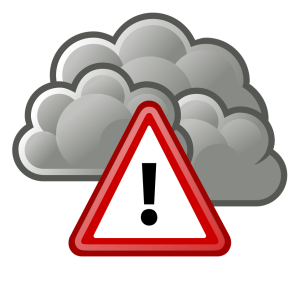 Just let me know the reason (or reasons) you’re currently holding off the boat on adopting “the cloud” for your data analytics. Let’s get this discussion going! 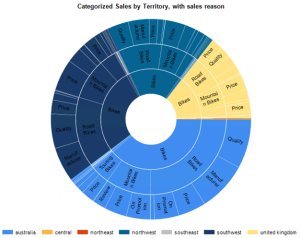 Today we’ll match up the data visualization power in Power BI to the ARR in R.
Every time I see one of these post about data visualization in R, I get this itch to test the limits of Power BI. 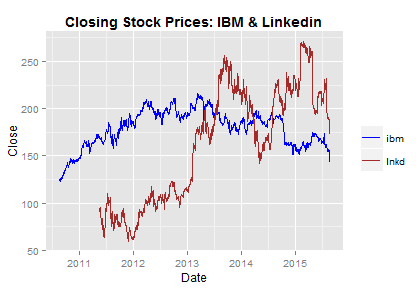 Tonight I read a post about Plotting time series in R using Yahoo Finance data by Joseph Rickert on the Revolution Analytics blog. In his blog he describes, in its most simple form, how he gets stock data from the Yahoo Finance API and plots it on a chart. Sounds like something Power BI can do! He then goes on to describe making the chart interactive using fancy R magic. SQL Server 2016 CTP 2.3 is here! What a busy day, first great Power BI news in the form of a contest with huge prizes and of course the new version of the Personal Gateway but we can’t forget that SQL Server still serves most of that data you’re looking at. And now there’s a new Community Technical Preview available! 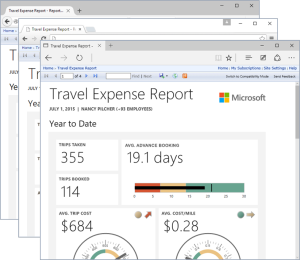 The most fun enhancements are found in Reporting Services. And who could forget the sunburst charts! Power BI Custom Visual Contest! 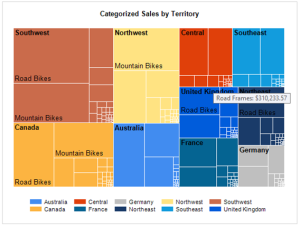 You already know Power BI allows custom data visualizations to be build. And now Microsoft has created a contest with a $5000 grand prize for those who want to contribute to a better Power BI experience. Afraid you won’t be the best? 2nd place awards $2500 and 3rd awards $1500 ! You’re not the 3rd best? there will be THREE (!!!) “People Choice Awards” up for grab as well. Each worth $1000. These will be judged by the number of twitter mentions for each entry. Sadly winning one of the first 3 prizes won’t be possible by mentions. Today we’ll take a look at the new Power BI Desktop application and we’ll create our first (or 3 first) simple dashboard(s). We’ll be using different data sources like Excel, an OData feed and even a web page! In this blog series, together we’ll go from beginner to expert in Power BI as fast as humanly possible. On our path, we’ll use Microsoft and non-Microsoft resources and we’ll try to explore what Power BI can add to an enterprise BI stack. We’ll be using datasets like the old AdventureWorks database and any useful databases we can get from opendata initiatives. But we’ll also explore the new data source possibilities included with Power BI. These include web pages, OData feeds, On-Premise Tabular models and much more. Read on to get started! Today we’ll look at what Power BI was, is and can be thanks to users everywhere. This series will be split into “days”. With each day representing a bitesize and mostly self-contained “module”. You can either go through all the content at once or pace it 1 day at a time. As busy as everyone is these days, it is my suggestion to go through each “day” during a lunch, a quiet evening or even in a short group session at work. This way, together we’ll go step by step through the desktop application and the web service. Along the way we’ll learn to work with Power BI and discover in which way, different parts can be fitted into an existing Enterprise Business Intelligence solution. We all have those default vendor datasets. But from time to time, we all just want a newer and fresher datasets, small or large, to play with. Here you can find a list of real and useful opendata data to play with. I’ll keep this list updated when I see new, incredible or just fun datasets. Got a dataset that you think needs to be listed as well? Post it in the comments! 2015/08/16 – Update: Added a realtime dataset section and added UK and EU opengov historical data. Data relating to the Indego BikeShare program, including station locations and the number of available bikes. Live traffic information data showing traffic information on the strategic road network in England, maintained by the Highways Agency. makes the wealth of public data generated by various New York City agencies and other City organizations available for public use. The data consists of flight arrival and departure details for all commercial flights within the USA, from October 1987 to April 2008. This is a large dataset: there are nearly 120 million records in total, and takes up 1.6 gigabytes of space compressed and 12 gigabytes when uncompressed. is a collaborative news site that brings together journalists, researchers, activists, and regular citizens to request, analyze & share government documents. Data is requested through Freedom of Information Acts. Not only the city New York, but also the state has opened up it’s data. Anything ranging from Citi Bike System Data to Subway Entrances to even Bicycle Routes.